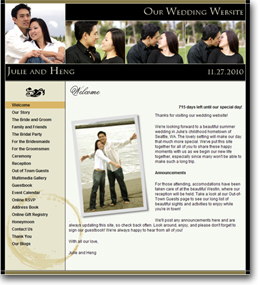 Our wedding websites now enjoy unlimited possibilities for the customization of several designs. Swap all global header images between our large library of beautiful photos, or upload your own selections! 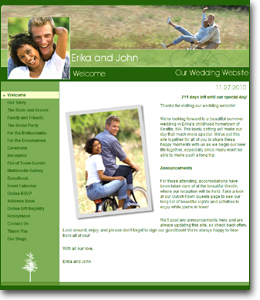 Colors, Fonts, Images & Content... It's All Customizable! This complete customization lets you make the design truly your own like never before. 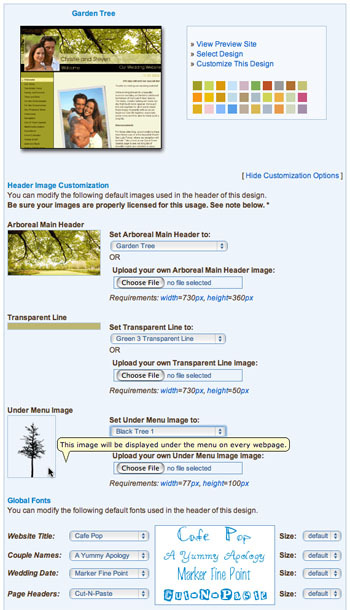 Not only can you swap and upload your own images for the major background selections, but many designs allow you to change and upload the smaller embellishment images as well. 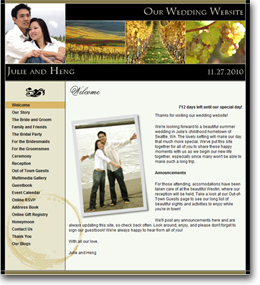 And like all designs, you can always change the font type and size for the website title, date, and your names--independent of each other--for a totally custom wedding website. Click here to start your FREE 14-Day Trial! 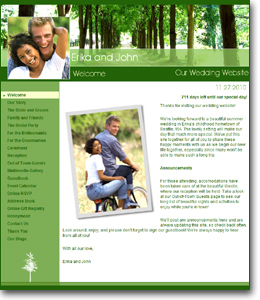 Your WedShare wedding website will be live in minutes!